We just drove from Sedona to Mesa AZ, on the way I noticed the truck has an issue when I turn left, even changing lanes. Thinking I had a tire issue I made an appt for Thursday at a local shop. The service mgr mentioned it sounds like a wheel bearing. 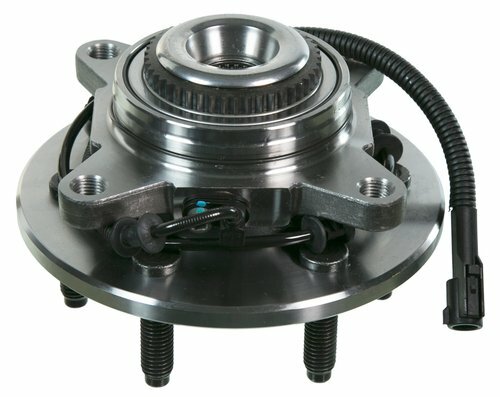 Question, if it is a bad bearing do I only get the bad one replaced, or more then the 1 figuring I can take it to my regular mechanic when I get home a month and 5k miles from now. Never had a bearing go bad before. Truck has 82k on it if it matters. I’ve had a front wheel bearing go bad but it’s been a while. If it were me, I’d get the analysis, try to read the service manager, have him give me a price. If it sounds reasonable and it looks and sounds like they know their stuff, might as well get them both done. I’d wait for it or at least be there when it comes apart so I could see my bearing and not someone else’s they kept on the shelf to impress people. It happens. There is trust and then there’s also the possibility of dishonesty, it’s a crap shoot. I burned up a rear wheel bearing in California once. Limped to a case tractor dealership after buying the bearing and gasket at the ford dealership. It was on a Saturday so only the parts window was open at Ford. The parts guy called Case for me and the guy said bring it in. Two rough looking guys took it apart, cut the bearing off the axle with a torch and never nicked the axle, put it back together and I never had another problem with it. Charged me very minimally and I tipped them enough to buy a case of beer. You never know. Good luck. On one hand, if the bearing is just worn out, the other one likely is as well and it would make sense to change both. On the other hand, if it is a defective bearing there is no reason to expect the other side to be bad... and there's probably little if any cost savings in doing both at once. I would inspect closely and replace only the sides that are defective... especially since this is a hub-bearing-carrier assembly which is straightforward to replace and can't be saved by fixing it earlier. It looks like there are different part numbers for with and without the payload package (so in this case the payload package is not a just a different pair of rear springs), so make sure you get the right one. The exception might be that if you are replacing brake pads and rotors at the same time, there would be saving in labour effort (but perhaps not labour cost) to do the bearing assembly at the same time. I put at least a couple hundred thousand kilometres on each vehicle (Toyota, Datsun, Triumph, Honda, Mazda, Ford) and the only one that has ever worn out a wheel bearing was our old Chev pickup; that one was my fault because I didn't realize it had primitive non-sealed front wheel bearings like a trailer that needed maintenance (it was a long time ago). I don't consider wheel bearings to be normal wear items... especially at 82,000 miles. I also have a 2012 F-150. Here's an excellent video of the bearing replacement. I wouldn't bother replacing the others unless they have symptoms. This video also shows you how to check them. I had a front wheel bearing seize up on me once. Bad deal. Great way to loose a wheel. I agree with Iowa Dave...get a read on the guy doing the work to see if he knows his stuff, honest, etc. Check to make sure seals are good and dirt isn't getting in side. And I'd at least check the other bearing and have it re-packed. If you watch the video, you'll see the bearings come in a "wheel bearing and hub assembly". It is replaced as a sealed unit and is not serviceable. In a good garage with qualified technicians, it looks like a half-hour job. Going with Gunnell's Tire and Service here in Mesa, best reviews I could find, for what that's worth. I do have the max payload pkg, hopefully they can get parts. A buddy has a similar vintage F-150 Ecoboost and he had a wheel bearing around same mileage then a head gasket around 112K.